TVB have aired footage allegedly showing seven police officers kicking and punching a handcuffed protester after they were arrested. The protester was Ken Tsang – a Civic Party activist and social worker. The beating, in a dark corner of Tamar Park, lasted four minutes. Netizens have attempted to identify the officers involved as Security Chief Lai Tung-kwok says all of officers have been ‘reassigned’. In 2012, Tsang was ejected from Chief Executive CY Leung’s inauguration ceremony. Appeal below via Occupy Central & human rights lawyer Michael Vidler. 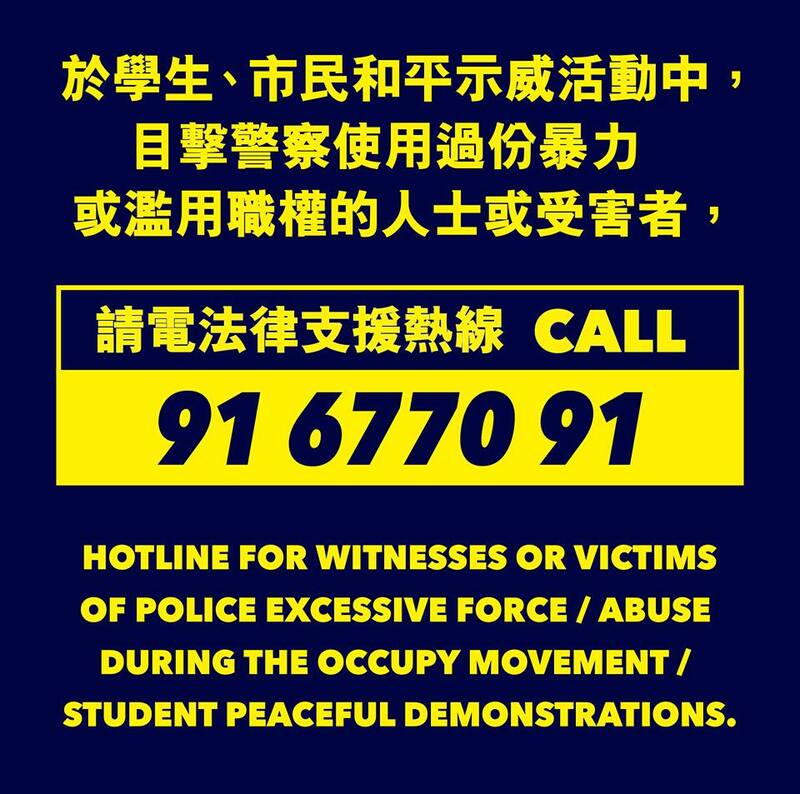 Hotline for witnesses or victims of police excessive force / abuse during the occupy demonstrations: 91677091. This entry was posted in Blog News News: Politics Video and tagged blog news News: Politics video on October 15, 2014 by Tom Grundy. Reassigned! Maybe even promoted? That’s reassigment too! I just got home after being bailed about 19 hours after being arrested on Lung Wo Road. Personally I guess I benefitted from “gwailo syndrome” – not even pushed to the ground, and all I have to show for it is a very minor bruise on one upper arm! Were you the only gwailo arrested? And how much was the bail? I now realize that you talk to the other Tom but hey, the questions remain. Tsang’s lawyer said he understood it to be water. I think, if it were anything else, we’d have certainly heard about it by now. It was definitely water, I was standing right next to the guy. I have worked with urine for years, I know exactly what it looks and smells like. There was a video showing him throwing a liquid over the police. Given the police reaction, I think it was urine. If so, he deserved to be beaten. Yes I was, or at least I didn’t see any other gwailos as we we held in Wong Chuk Hang and then North Point police station. Bail is nominally $500, but on my own recognisance, meaning that no cash payment was necessary – they’ll just come after me for $500 if I fail to turn up at Central Police Station on the 14th of November.